Leviticus 17:11 (KJB) For the life of the flesh is in the blood: and I have given it to you upon the altar to make an atonement for your souls: for it is the blood that maketh an atonement for the soul. There is no possibility of a man being physically alive without having the presence of life-giving blood flowing through his veins. Blood flow is vital carrying oxygen and nutrients. It gives mankind and creatures physical life. If blood fails to ebb or flow, as in exsanguination due to trauma or from an onset of shock due to a health emergency, life can quickly cease to exist. When blood flow stops in a man or creature his or her life on this earth comes to an end without recourse or the possibility of living again. Creatures are created with a body and soul (rather than being created as a trichotomy like mankind) thus all creatures have no spiritual nature. Therefore, it is not possible for animals to exist as spiritual creatures in the eternal realm. However, various animals are mentioned in the Bible in reference to the New Jerusalem. In describing the coming millennial reign of Jesus Christ “The wolf also shall dwell with the lamb, and the leopard shall lie down with the kid…” giving an indication that animals will again exist. Yes, Jesus Christ’s precious blood serves a twofold supernatural miracle for every renewed heart. It ushered in the forgiveness of his sin, and life on this earth in the flesh, and the opportunity for having a new spiritual life living in spiritual fellowship with God in the eternal realm for all eternity. Yes, did you understand that ALL mankind will exist in the eternal realm? However, not every man will exist spiritually alive, as some have chosen to remain dead in their sin and their spirit, rather than be quickened eternally alive through faith the shed blood sacrifice of Jesus Christ. Unless a human heart has been quickened spiritually alive for having a new spiritual life while he sojourns on this earth, he or she will face his sin and death twice; once in the flesh, and secondly in his or her dead spirit on this earth and forever in the eternal realm. A man is created by God in His image having a trifold image (Father, Son, Spirit). Every human exists with a trichotomy (or with three images like Christ) fashioned with a trio consisting of a body, soul, and spirit. Every man born on this earth has a soul, a spirit and a physical, or fleshly, presence on this earth. The spiritual portion of every man will be present in the eternal realm either as dead in spirit (like Adam) to be present in hell. Or his spirit will be alive in Christ to exist in fellowship with God forever. Again, it is placing faith the shed blood sacrifice of Jesus Christ on Calvary which makes it possible for mankind to exist spiritually alive rather than dead in spirit. So, now you clearly understand that the blood of Jesus Christ which gives life to man both on this earth in his flesh, and in the eternal realm in his spirit to be perpetually alive in fellowship with Christ forevermore. 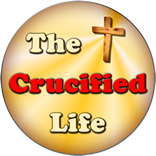 New spiritual life in Christ will last for all eternity and any person placing faith in the finished blood work of Jesus Christ upon the cross at Calvary will live forever in fellowship with God. Did you know that Jesus Christ’s blood, every drop, was WILLINGLY shed for you and me? His blood was not taken from Him. His blood was not removed from Him by force. 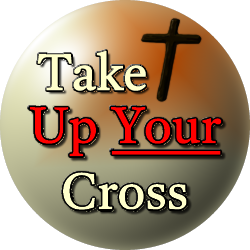 Jesus Christ willingly faced death on the cross because He desired to obey the will of His Father. He chose to humbly lay His life down gladly anticipating His own physical death so that you and I can live forever. Colossians 1:19-20 (KJB) For it pleased the Father that in him should all fulness dwell; 20 And, having made peace through the blood of his cross, by him to reconcile all things unto himself; by him, I say, whether they be things in earth, or things in heaven. Let this scripture verse sink into your heart and mind. Jesus Christ allowed His precious blood to be shed for eternally preserving the life of you and me. Matthew 26:28 (KJB) For this is my blood of the new testament, which is shed for many for the remission of sins. Mark 14:24 (KJB) And he said unto them, This is my blood of the new testament, which is shed for many. Certainly, these Apostles and others around Him, including his mother Mary, heard such prophecies about Jesus Christ but did not understand what was about to happen. These revelations would make more sense to many witnesses a few days after His death on the cross. A miraculous spiritual transaction took place on the cross at Calvary purchasing the sin debt that mankind could never procure by himself. It took all the precious blood of Jesus Christ to pay for all the sin of mankind, having not even a drop left over or wasted. The debt of sin required death. Sin required your death and mine. The death of Jesus Christ, in our place, satisfied our debt of sin forever. He did not only take care of your sin debt and mine but He purchased all sin for every man. His precious blood was shed for the obligation of all mankind; past, present, and future sin. Jesus Christ’s precious blood was the only acceptable sacrifice making it possible to REMOVE sin, rather than to merely cover sin. The Old Testament shed blood sacrifice of animals was sufficient to COVER sin making man acceptable to God but it did not provide eternal life. Taking the sting out of death REQUIRED the shedding of Jesus Christ’s blood. 1 Corinthians 15:55-57 (KJB) O death, where is thy sting? O grave, where is thy victory? 56 The sting of death is sin; and the strength of sin is the law. 57 But thanks be to God, which giveth us the victory through our Lord Jesus Christ. This spiritual redemption is not something man is getting or will have, but mankind can have (present tense) right now. His gift is available today! Genesis 4:2-5 (KJB) And she again bare his brother Abel. And Abel was a keeper of sheep, but Cain was a tiller of the ground. 3 And in process of time it came to pass, that Cain brought of the fruit of the ground an offering unto the LORD. 4 And Abel, he also brought of the firstlings of his flock and of the fat thereof. And the LORD had respect unto Abel and to his offering: 5 But unto Cain and to his offering he had not respect. And Cain was very wroth, and his countenance fell. God was quick, however, to accept Abel’s offering. This is because Cain’s offering was not a shed blood sacrifice but an offering made with his hands from the field. Works are never acceptable (then or now) to God for covering or sanctifying sin. Abel’s gift was a shed blood animal sacrifice. Hebrews 9:22 (KJB) And almost all things are by the law purged with blood; and without shedding of blood is no remission. Jesus Christ’s blood purchased the proverbial Promised Land! His blood purchased the potential for having a new spiritual life for every man, woman, and child born in the flesh upon this earth. Revelation 1:5-6 (KJB) And from Jesus Christ, who is the faithful witness, and the first begotten of the dead, and the prince of the kings of the earth. Unto him that loved us, and washed us from our sins in his own blood, 6 And hath made us kings and priests unto God and his Father; to him be glory and dominion for ever and ever. Amen. His blood carries eternal assurance. It makes us kings and priest unto God. Through His shed blood, we can be who God desires for us to be. His will is not available in our own strength and power (works) but resides solely in the supernatural power and strength of God. His blood has just as much power today as it did in the beginning at the creation of the world. His power was always available, and ready. The very moment sin was ushered into this world, through the disobedience of Adam, it was necessary for a shed blood sacrifice for the redemption of every man from the presence and power of sin and to provide a spiritual gateway to possessing eternal life. Have you been ushered into the gateway of eternal life through the precious shed blood of Jesus Christ? Or are you existing spiritually dead and dormant, eternally poised to be dead both physically and spiritually?